Do you have a true understanding of your income and expenses? 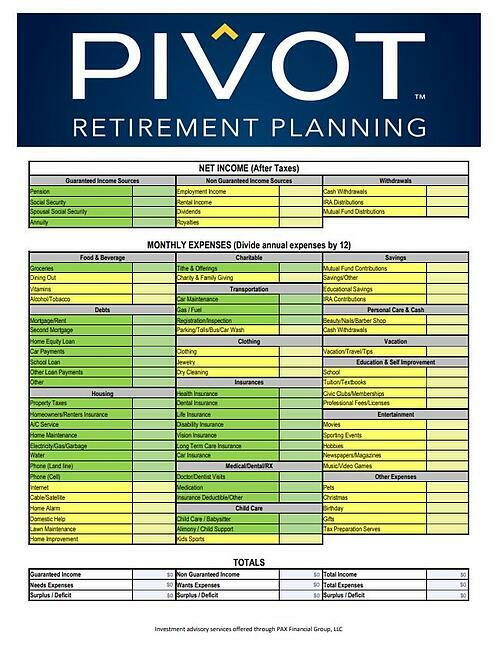 Our retirement planning cashflow worksheet Puts it all in one place! Get organized and prepared so you can enjoy this next "pivot" in life. Get your complimentary worksheet today!